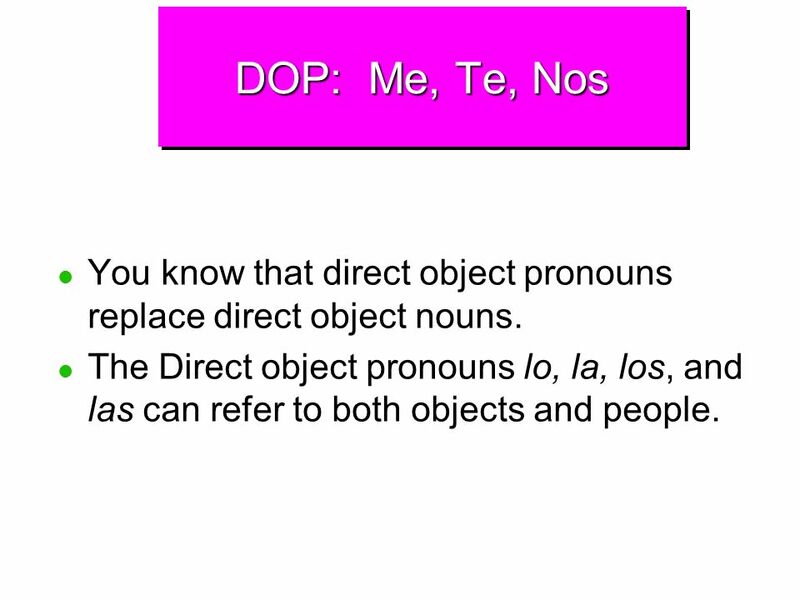 2 DOP: Me, Te, Nos You know that direct object pronouns replace direct object nouns. 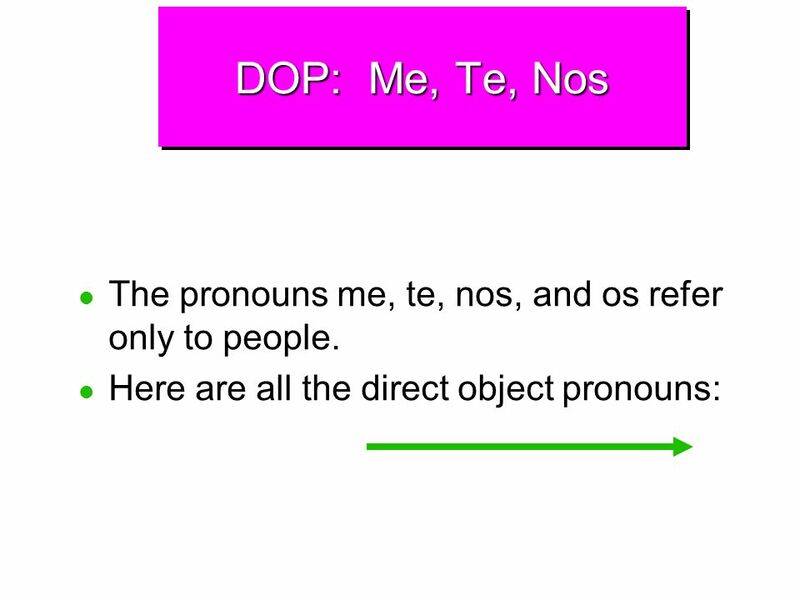 The Direct object pronouns lo, la, los, and las can refer to both objects and people. 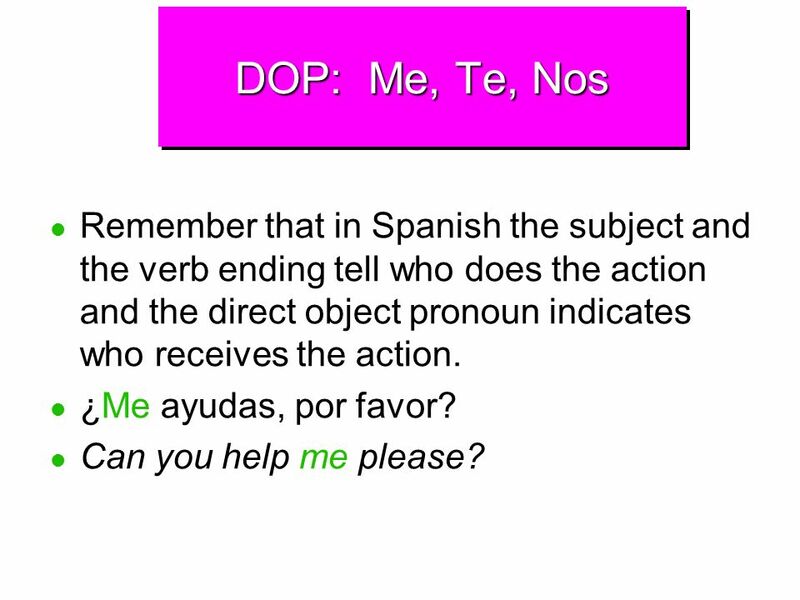 5 DOP: Me, Te, Nos Remember that in Spanish the subject and the verb ending tell who does the action and the direct object pronoun indicates who receives the action. ¿Me ayudas, por favor? Can you help me please? 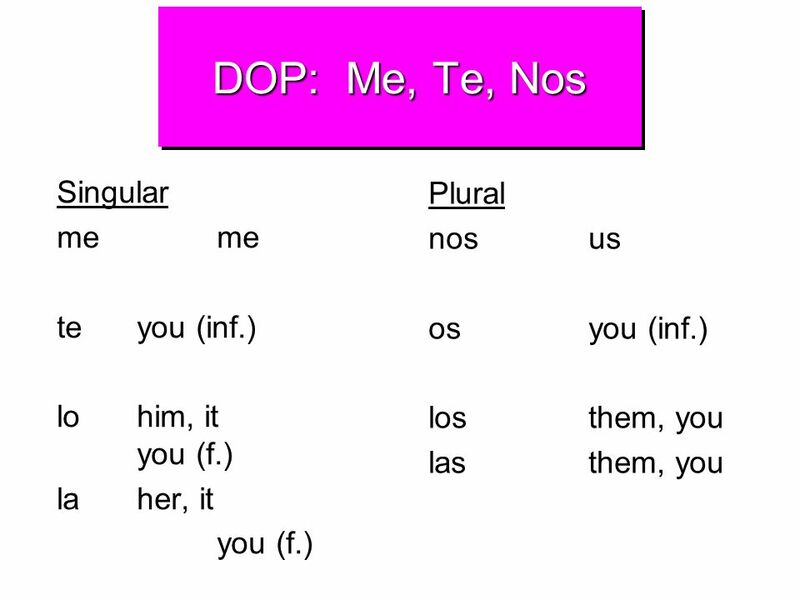 6 DOP: Me, Te, Nos Direct object pronouns usually come right before the conjugated verb. 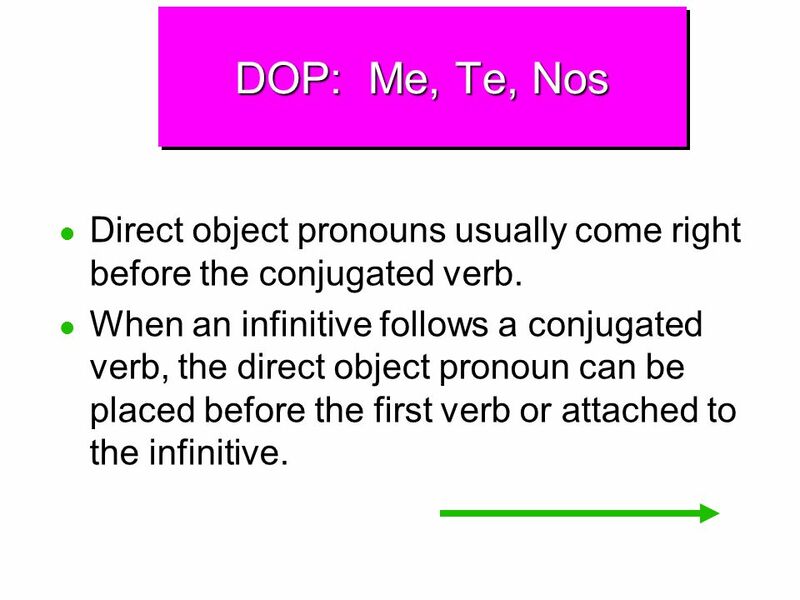 When an infinitive follows a conjugated verb, the direct object pronoun can be placed before the first verb or attached to the infinitive. 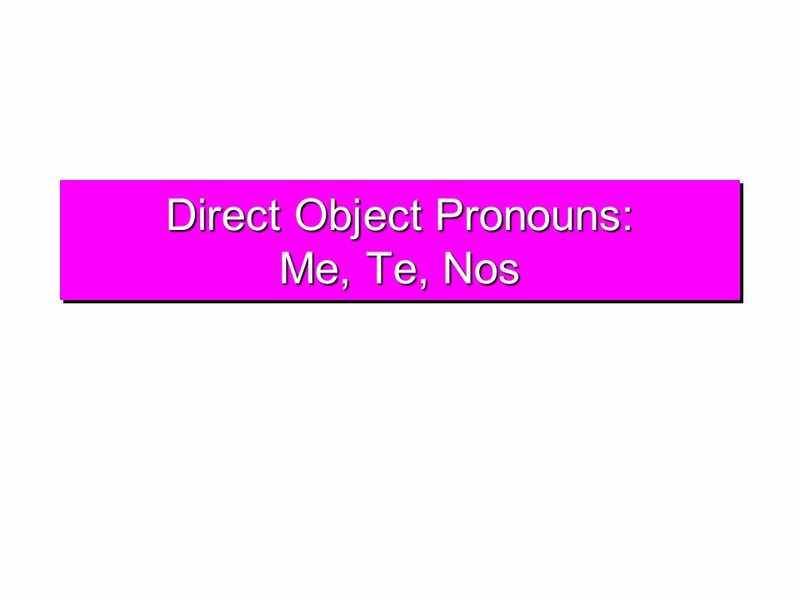 Download ppt "Direct Object Pronouns: Me, Te, Nos"
Los Objetos Directos Direct Object Pronouns. What is a direct object again??? 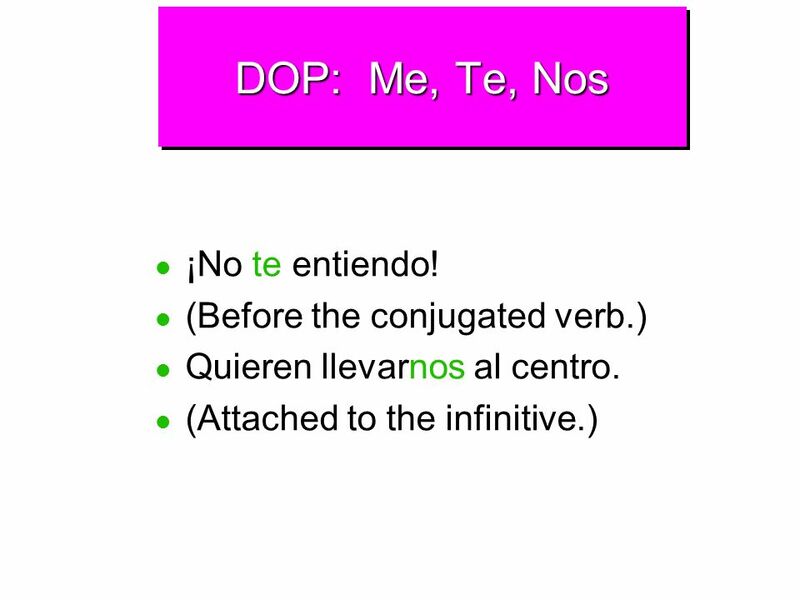 Direct objects receive the action of the verb in a sentence: I memorize.